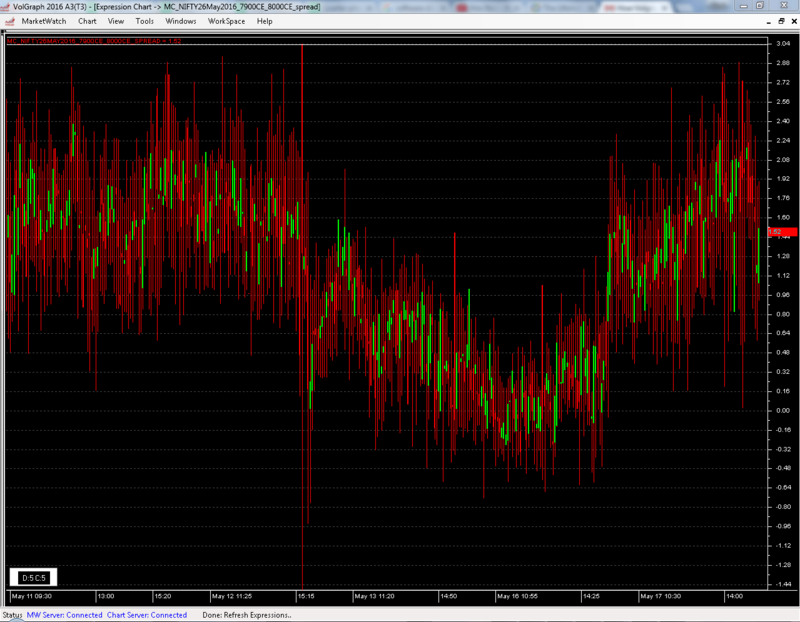 VolGraph is the first software in India that plots chart for Historical Volatility, Implied Volatility & Option Greeks. 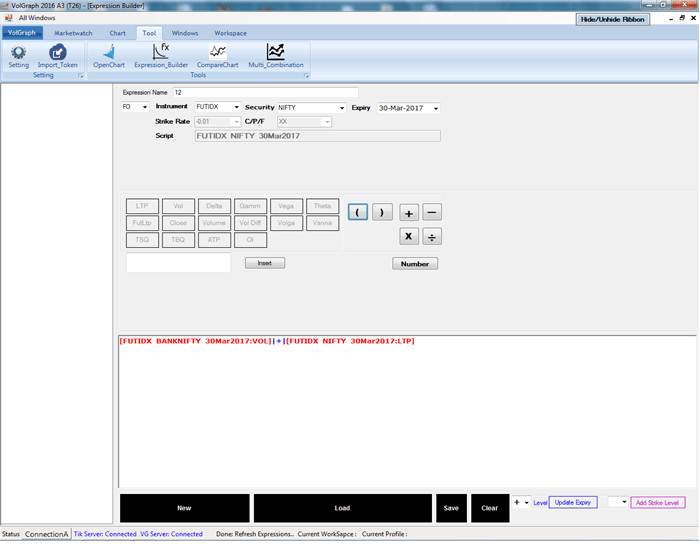 It is an unique charting software that plots not only normal charts but also charts for any combination of calculations. 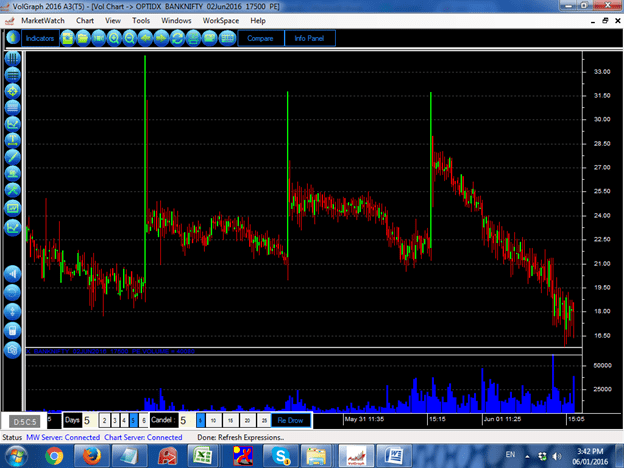 First software in India to plot real time charts for Implied Volatility & Options Greeks. 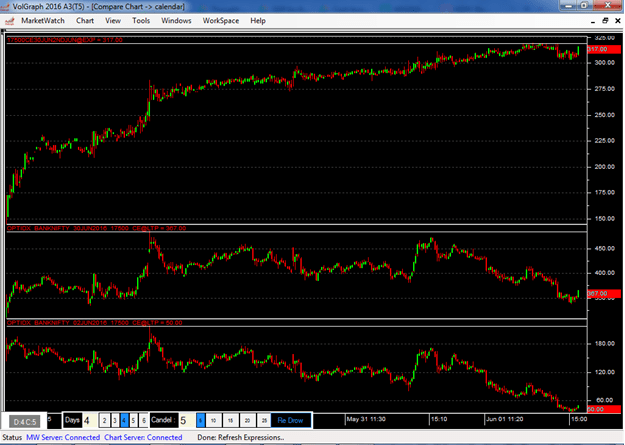 It can also plot charts all required well known Options Strategies & Open Interest. Compare two charts on a single screen. It will help you to make more effective decisions in your Options trading. Think any Options Strategy & plot chart for the same. Expression builder will help you to plot charts for any calculation. VolGraph can plots both historical & Live charts for all the scrips so that you can do strong R&D on your strategy with one click.